What is IN THE SPREAD??? 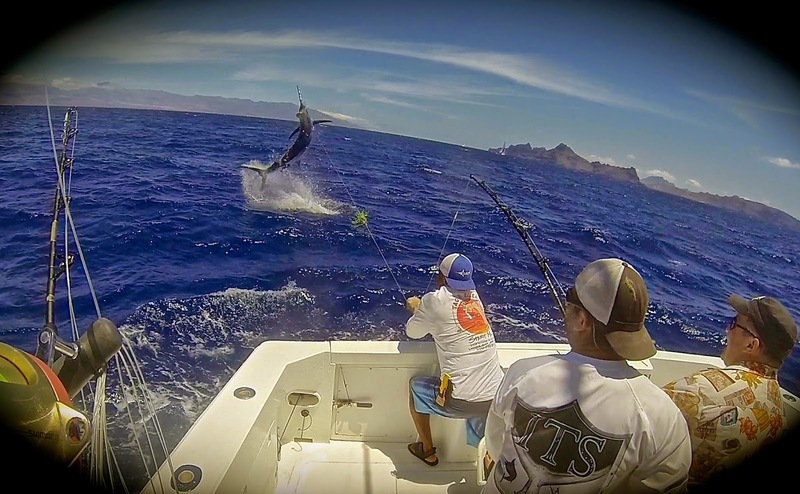 In the Spread (ITS) is a sport fishing specific digital platform focused on delivering high-level instructional and educational video content produced by Full Throttle Media. 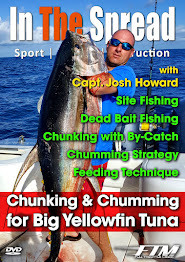 In The Spread produces and distributes full-length High Definition sport fishing education DVD’s and other HD sport fishing related media including digital short films, long format teaching series, event and seminar streaming, medium and short run video education clips, product reviews, and other cutting edge digital media created most specifically for online and mobile applications. Based on their years on the water, getting to know fish, developing techniques and products, conducting seminars, owning and running tackle shops, the In The Spread team understands what anglers, the world over, are most interested in knowing. Viewers have a unique opportunity to learn everything our select group of sport fishing authorities know. These are elite fishermen who have honed their skills plying the waters in pursuit of the world’s most sought after game fish. You will sit in on conversations between seasoned captains and anglers as they share real-life examples of what works with various species. From live bait and lure choice, to rigging, angling and boating techniques, you will get the opportunity to learn skills that have proven successful at the highest levels of sport fishing. The techniques presented here will instill confidence and elevate your fishing to a new level. With the introduction of In the Spread, the inaccessibility of high-level video instruction for the recreational and seasoned angler has ended. What this means is that both newcomers and seasoned anglers will benefit from the vast knowledge and methodical approach presented by our instructors. In the Spread is an unforgettable learning experience. It is the most complete and in-depth instructional oriented production currently available in the sport fishing industry. Within this comprehensive learning system lies technical information and practical methodologies related to a multitude of species, baits, tackle, tactics and techniques, rigging methods and seamanship critical to any successful game fish undertaking. The underlying message goes to the heart of what fishing is all about, which is sharing those bits of knowledge that will enhance your next angling experience. Greatness cannot be achieved with half measures, so take advantage of this unique opportunity to learn valuable tips and techniques from the best of the best In the Spread. Instructional Video on Crimps and Crimping Technique From "In the Spread"
Watch the In the Spread Crimp, Crimpers and Crimping Technique video, because your connections make all the difference between catching that fish of a lifetime and watching it swim away. Your crimps should never fail. Your line will fail before the crimp 100% of the time, if you crimp your crimps correctly. 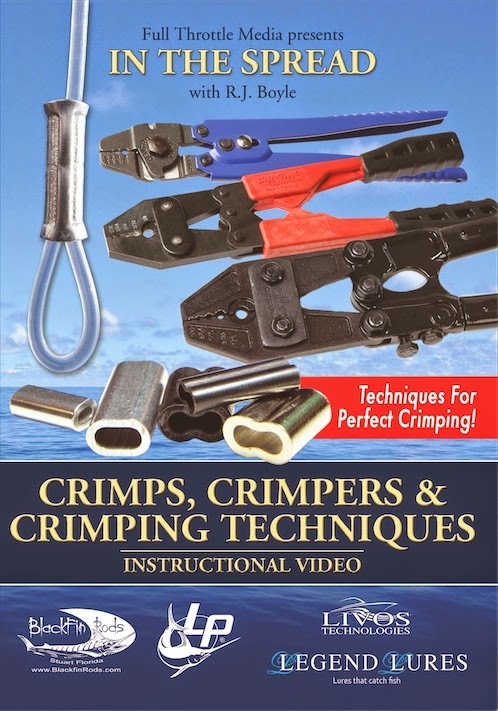 Learn how to do it the right way in this crimps and crimping technique instructional video. RJ Boyle tests the limits of terminal tackle on a regular basis, chasing giant bluefin, grander marlin and swordfish. In this video, he will explain in great detail the various crimping tools, the differences between crimps and the proper crimping technique required to ensure your success! Full Throttle Media is the concept creator and producer of the Crimps, Crimpers and Crimping Technique video, as well as the In the Spread platform. The Full Throttle Media team had a great filming trip to the Dominican Republic for the upcoming In the Spread FAD fishing film. The fishing crews that travel each season to fish the blue marlin bite in the Dominican Republic are some of the best in the world. A lot of these guys fish the DR each year to hone their marlin fishing skills. There are just not that many places in the world where you can realistically get anywhere from 2-10 shots a day on blue marlin. As Captain Tim Richardson says, "the DR gives you a chance to really perfect your use of drag". So true! We had the pleasure of fishing and visiting with some great fishermen on our trip this past week. 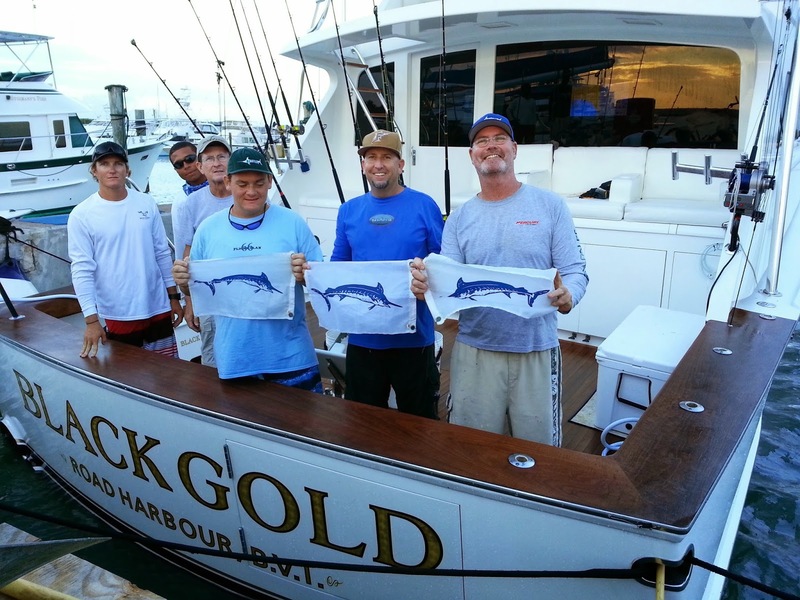 We went 5 for 7 on blue marlin, caught a 70 lb. wahoo and a couple of 30 lb. dolphin in two days of fishing. Our third day was spent sword fishing, to no avail. We had two bites and pulled a nice fish off just behind the boat. That is fishing. The FAD fishing film goes to editing next week and we should have it completed by months end. Stay tuned for information about Full Throttle Media's project In the Spread.